Positioned on the foothills of Rwenzori mountains which have got the legendary honor as the mystical mountains of the moon – the name that dates back to 150AD originating from the Greek Geographer Ptolemy prompting various travellers to undertake safaris to Uganda in quest of this legendary feature, the Rwenzori Art foundation is by no means in an ordinary place. 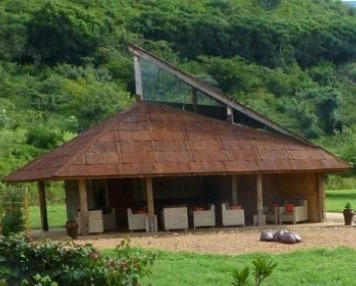 At 11km from the town of Kasese along the road that connects to Uganda safari destination of Queen Elizabeth National Park, the Rwenzori Art foundation boasts as the only bronze casting center in the entire continental lands of Africa. Its position along this impressive tourist route makes it an admirable stop to break the long journey by travellers on Uganda safaris and tours. The remarkable prize winning complex settles on a harmonious ground with its surrounding natural landscape and centers on making use of potential recycled materials generated locally while also offering an up-to-date ground for showcasing the beautiful carvings. The impressive terrace of the coffee bar offers a cozy place for relaxation and enjoyment of the award winning panoramic views of the magical mountains of the moon always encountered on Uganda safari. The gallery at the site takes pride in being the initial foundry in the destination Uganda that is primarily dedicated in sculpture casting. The visitors are given the opportunity to explore the wide range of works that are cast in the studio by the talented local artisans and crafts men. It is such a thrilling moment encountering the Ugandan pure white marble carvings as they rub shoulders with the famous soap stone and bronze sculptures put together by a diverse local talented art team while on a safari tour in Uganda. Interestingly to note that over 30 clan totems depicted permanently and specially dedicated for the foundation thrive at the center with iconic species including; lion, elephant, colobus, buffalo, pangolin and otter some of which are encountered live in the Uganda safari tour destinations.